The creative community is all giddy about the possibilities of virtual reality, but mixed reality, which brings holographic images to the real world, might be the smarter bet, BBH London's Jeremy Ettinghausen writes. I am sitting in my office surrounded by my usual clutter and some less usual clutter. A tiger reclines on my sofa. An astronaut lazily waves at me from his spacewalk. A toddler repeatedly knocks over a pyramid of tin cans on the floor. On my wall, there’s a screen showing Twitter. On another, the football on iPlayer, and I’m Skyping a colleague on a third. And no-one but me can see any of these things. The future I am peering into through Microsoft’s wearable, sensor-packed HoloLens glimmers and shimmers and is a little translucent. In this "mixed reality", I am not transplanted from the real world into a fully virtual environment. Here, the real physical world is augmented with 3D holographic objects projected on to the lenses I’m wearing. This isn’t virtual reality and the difference is important. Of course, mixed – or augmented – reality is not a completely novel phenomenon. Layar, an "augmented reality" browser, launched for smartphones in 2009, superimposing a layer (geddit?) of geotagged data over a user’s screen. Blippar uses markers to "add digital content to physical objects and reward our curiosity with engaging experiences". And there was Google Glass (2013-15), which at least succeeded in introducing the term "Glassholes" into the lexicon. 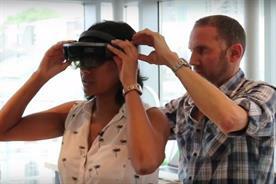 HoloLens is different because not only does it bring virtual objects into your visual environment, it also lets you interact with them. Using voice or gestures (yes, it does feel a little ridiculous at first), you can create and manipulate objects, interact with websites and play games. 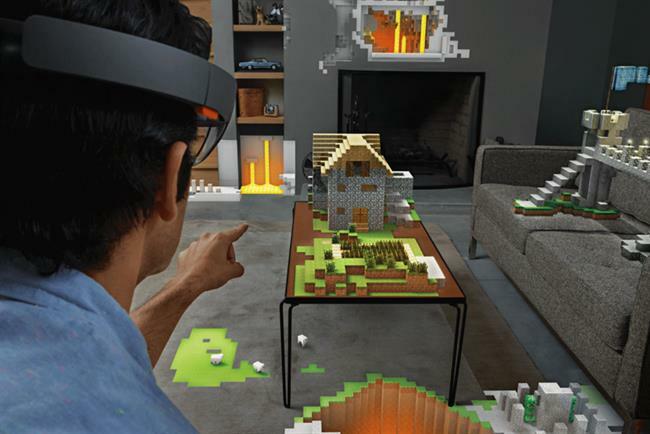 Early developer efforts with HoloLens have created virtual piano tutorials, playable chess demos and, most impressively, a 3D holographic Minecraft you can build and play without any physical controller. And because 3D objects are projected into the world, you can walk around them, look at them from every angle, spin them round and turn them upside down. This combination of real and virtual, the ability to interact with virtual objects and the quality of both interactions and display, leads some to predict a future dominated by mixed, rather than virtual, reality. Wired co-founder Kevin Kelly, extolling the promises of the forthcoming Magic Leap mixedreality headset, predicts that all screens (even those on mobile phones) could be replaced by a single wearable device where virtual screens can display all of the tools, information and entertainment anyone will ever need. And director Peter Jackson (who serves on Magic Leap’s advisory panel) agrees, telling Wired: "I find mixed reality much more exciting than VR. It doesn’t take you out of this world. Instead, it adds elements to our real world. And it has great flexibility." So while VR lends itself wonderfully to gaming and immersive entertainment, mixed reality will offer this and more besides, presenting interesting opportunities for brands and marketers. Microsoft is already working with Volvo on car-customisation experiences and with Lowe to enable customers to place virtual kitchen appliances and fittings within a blank "kitchen space". While VR lends itself wonderfully to gaming and immersive entertainment, mixed reality will offer this and more besides, presenting interesting opportunities for brands and marketers. While these examples seems a little prosaic, it is easy to see how mixed reality offers the creation of services as well as entertainment. Service experiences, perhaps. As service design and innovation consultancy continue to eat into the budgets traditionally reserved for brand advertising, creative agencies should view technologies such as mixed reality with giddy relish. There will be plenty of people who can and will make me-too bathroom planners and car customisers and branded mixed-reality games and the like – the wallpaper of our mixed-reality future. But an experience doesn’t become engaging simply by being in mixed reality. We need to challenge ourselves to imbue service experiences with creative magic, the special sauce of craft and intuition and intelligence that we have bottled for decades. 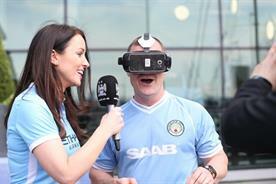 It’s no surprise that advertising creatives and their clients are gaga about VR. We love to think of ourselves as storytellers and VR gives us the opportunity to create rich, immersive stories that are experienced, not told. Perhaps it is easier to conceive of grand creative visions when you are building new worlds rather than augmenting the real one. But mixed reality offers creative thinkers the chance to excel at the thing that they have always done well – augment an often challenging and mundane reality with a shimmering layer of glittering promise. 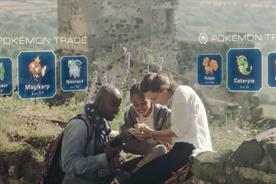 Footnote: On 6 July Pokemon Go was released in the US, its blend of real world exploration and Pokemon action making it arguably the first mass market augmented reality experience delivered at scale. 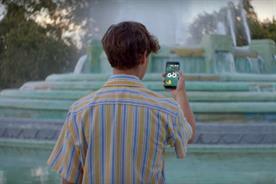 Whether its success (Twitter hysteria, crashed servers, $7.5 billion added to the value of Nintendo) implies widespread adoption of AR or whether it's simply a reflection of the ongoing popularity of the Pokemon franchise is debatable. But given that millions are now engaging with AR for the first time, the blending of real and virtual worlds to create new entertainments and experiences seems less fantastical than it did just a few weeks ago.